A prince enlists a thief to serve as his bodyguard to protect him from assassins. A fighter confronts a rogue master armed with weapons capable of severing a head from 100 feet away. Director Chang Cheh reunites the Five Venoms in his second biggest cult hit in the West. It's Lo Meng's most memorable performances whose showdown with fellow Venom Kuo Chue is artistically violent while being graphically artsy. A survivor of an attack on a rebel group opposing the Manchu invasion of China creates the Goose Fist fighting technique and tries for revenge on a traitor. As for the reviews here, jmmjg's review belongs in The Silver Spear (1980) area because when he stated "a contest of 5 warriors fighting for the right to marry a princess and it ends with an immortal vampire seeking revenge"... That's a description of that movie. I can see how he was mislead to post it here, although if he looked at the cast on his movie he wouldn't see Yu Wang but instead, Peng Tien, Ho Tien and Chung-Erh Lung. squelcho has the right review and sums it up pretty decent so there's not a lot I would change there. 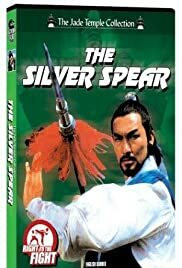 This movie "The Deadly Silver Spear" (1977) aka "Shaolin's Silver Spear" and U.S. re-title "Deadly Kung Fu Lady" is a decent flick I enjoyed.